Guess what? It is completely possible to have a spotless house, even with a 5 year old, a 3 year old, and a 1 year old. It’s true. I achieved it this summer when we were selling our house. For 9 weeks, I kept the house perfect until we got an offer. I had no idea it was possible. But in order to keep the house perfect, things had to change. We had snacks outside a lot. I never made homemade bread, not even once. We had to eat a lot of processed food. And I was so grouchy. I was tired. I would stay up late folding and putting away laundry while the kids slept. I had to mop the floors a few times a week, often after the kids were in bed. Instead of reading, writing, or chatting on the phone with a friend during my children’s mandatory rest time, I had to clean bathrooms. I really didn’t have time to recharge and do the things that make me feel relaxed. Instead, the work was never ending. I lost my temper with the children so many times for stupid things. It was inevitable that someone would dump out the trains or Legos 5 minutes before a potential buyer would arrive at our home. I was also very stressed because my husband was out of town for work during the week, so I was juggling single parenthood. Any little runny nose and cold would turn into bronchitis and even pneumonia for me. I think my immune system was so exhausted from doing single parenthood alone, all while keeping keeping the house “perfect.” It was rough and I’m so glad it’s over. This summer, I found out the dirty truth behind a spotless house. If you have young children in the house, it is indeed possible for your home to be spotless. But you’d better be prepared for a grouchy mama. And that’s not a price I’m willing to pay. Instead, I’ll take the trade-off of a home that’s often clean but sometimes looks “lived in,” with the doll house open and train tracks being built. It’s rarely all clean at the same time. I need to take care of me too so that I can be equipped to care for my kiddos. It’s hard to be patient when you’re exhausted and stressed. We strive for order and peace, but spotless? That can happen another time, in another stage of life when we’re past the diapers and sippy cups. Right now, my kids need a patient mommy. Enjoying this series? Subscribe to MamaGab by Email so that you don’t miss a single post. GREAT post! It’s true – a perfect house simply isn’t worth the price of living life that way! And, even most home buyers would understand a half-assembled train on the living room floor. Anna@stuffedveggies recently posted…What’s Wrong with Halloween, Anyway? I heard so much about “eliminate all signs of kids” beforehand, so while I knew it was impossible, I did my best to keep it totally straight. It was worth it to sell the house but not for my sanity! So true and thanks for the reminder! Sometimes I wish for a neater/cleaner house but I really would rather have a happy family and be able to enjoy life. I suppose it’s about finding that balance of clean enough and just letting the rest go. I so agree with you here. It really seems impossible to “do it all”… something has got to give. 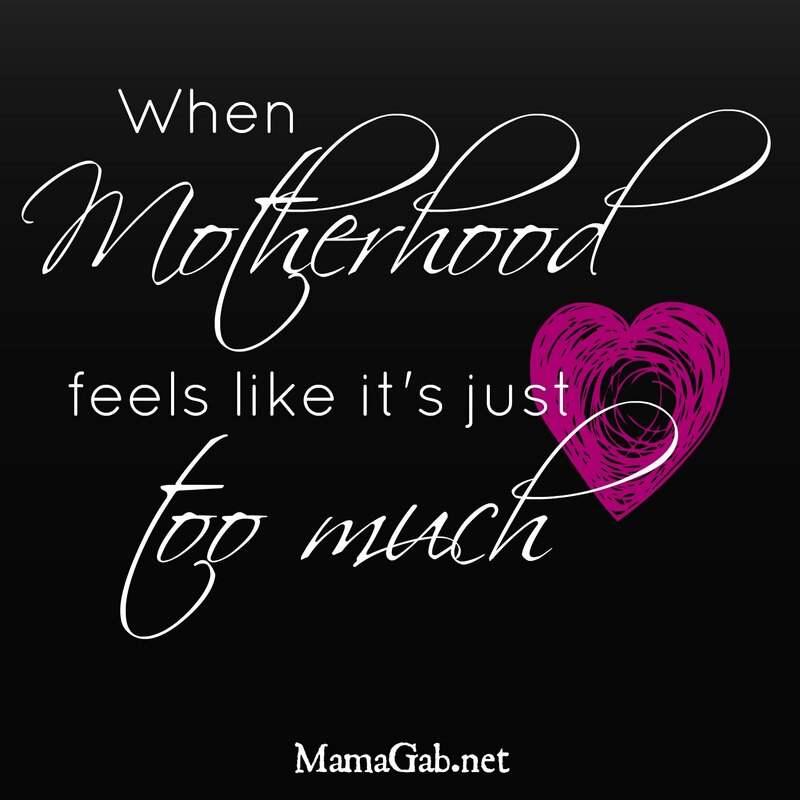 I would so much rather sacrifice a clean and tidy house for being a present and loving mama. You’re absolutely right. It’s never worth it to try to do everything. Thank you! It’s tough to balance everyone’s needs!